If you haven’t heard of Hipmunk, it’s no surprise. The site only launched in the last couple of weeks, but it’s off to a good start. If you book flights, it’s a site you’re going to want to bookmark. Hipmunk has the potential to make booking flights easy, but it’s not quite there yet. A couple of tweaks, and we’ve got a winner. The idea was to create a very simple and clean way to book travel. So to start, they’ve contracted with Orbitz for the feed and they’ve slapped their user interface on top of it. The result looks a lot like what you might find on ITA Software, but with booking capability. The goal was to put as many flights in as small of a space as possible. This set up allowed them to show you all possible options on one screen so that you don’t have to keeping clicking to see more options. It works quite nicely. There are a few things that really make this stand out in my mind. On the far right side, you’ll see random scattered “worse” buttons. This is all part of the plan to reduce the clutter on the screen. The worse button automatically hides flight options that nobody would want. I should say, almost nobody. For example, let’s say you’re connecting. There might be an option that has the same connecting flight but an earlier first flight, like this. That longer layover in Denver might be great if your Great Aunt Mildred lives there, but otherwise you don’t want it. But that’s why they hide it instead of delete it entirely. The info is still there for the rare few who dream of a long layover. is not intuitive. It’s the agony sort, which right now looks at price, total trip duration, and number of stops. The idea is to get away from the straight price sort, and that’s a good thing. But it’s not where it needs to be. Adam mentioned that they were talking about creating a profile where you could sign up and create your own variables for the agony sort. Then anytime you search, it would use those presets. This would be excellent. Right now, the first thing that pops up in the above agony sort is a nonstop but it’s a redeye. I hate redeyes, so I would want to have that in my profile and have it never show up at the top again. and that might bug some people, but the filter is actually hidden in the site. On each side, there are black bars that you can drag to be your earliest start time and latest arrival time. It would be nice to have a little more flexibility than that, but with the searches I’ve done, it’s actually narrowed it down plenty. There are a few bugs here and there, but it’s only been up for a couple weeks so they’ll work through them. Once they have more providers that can provide more robust info, this site will be come even more useful. Like I said, I like where it’s going. It’s just not quite there yet. And that’s why this is a travel tool I might love. Cranky – I just did some searches on Hipmunk for a Labor Day weekend trip I’m looking at, and I think you missed the biggest feature of the site. The way it displays flights are great for an airline geek, I love the look and feel of the site, but the biggest thing to me is the tabs! This way, I can look at multiple origins and destinations and keep them all up there at once, instead of constantly remembering what I just searched on an other site and jumping back and worth. It’s all right there, and it keeps all the old data in the tabs. I’ve got six open right now (and the site found an awesome AvGeek routing I didn’t find on my own!). Brilliant site! I just tried several searches on Hipmunk (I’m not actually looking to buy anything, but I am looking to see what’s available and checking prices) and honestly, I’m not too excited with what I’m seeing. Normally I use http://www.kayak.com for this sort of thing, and I probably will stick with that. First of all, all the flights from Hipmunk are from Orbitz, which leaves out some tickets that are only available on other websites, such as Vayama. Also, I will always buy tickets directly from the airline if I can, since I have found that it is much easier to deal with them directly. Yes, I can look for flights on Hipmunk and then go to the airline to book them, but I don’t have to on Kayak, and it sort of defeats the ‘easy to use’ aspect. There seems to be no option for multi-city itineraries, which is a major limitation for me. Also, (it may not matter to some people) but on Kayak I can limit layovers to 4 hours (or whatever) and many of the ‘worse’ flights will disappear. Also, I can exclude layover airports that I don’t like (ORD, NRT, LHR). Hipmunk will search for multiple airports, but it won’t let me choose which ones of those several. For instance, from New York, I am willing to fly from JFK or LGA but I will avoid EWR if I can, and although I can see the airport, I cannot filter out EWR flights. For round trips, I have to select each leg separately, and since one flight might require a 5am departure for the return to get the lowest price, I may have to try several outgoing flights to get a return that I like. One last thing is that I don’t see any way to email searches or flights to others, which is especially important if I am looking for flights for them. All that being said, the interface works well, and there are some features which I do like (such as being able to search for only red-eye flights and the tabs). However, I will stick with Kayak for now. Like I said, this just launched and the things you mention are easily fixed or already in progress. I left it out for some reason, but they’re trying to be like Kayak and offer more than just Orbitz. That’s a good thing, because the results I’m seeing aren’t that impressive right now, but they’ll get there eventually. I haven’t been that impressed. But they’ll have a definite leg up if they can find an easy way to include fees. If you have one checked bag, a $100 ticket on jetblue and a $100 ticket on US are not the same thing. I think kayak has a big table of fees on a separate page, but it’d be useful if you could incorporate it in the main search. Wouldn’t it just be easier to call a travel agent? I know I’ll get flack about that…LOL. I wonder why computers like travel agents use are not put out to the general public. The systems out there are no longer special desk top computers, but programs on a normal buy it at the store computer. You would think these company’s would sell a home version to make it easier to see exactly what the airlines show and not what a third party wants you to see. David, Its probably a matter that that software displays information that is proprietary to the airlines, and can only be displayed with a license/agreement.. The old Easy Sabre service was pretty close to the command line interface that travel agents used to use. Nowadays there are GUI layers that sit on top to make things easier, but it’s still a pretty complex system. The various web-based services, both agencies and airline sites, hide most of this complexity. It’s also not showing ANY flights on American for me (on routes like SFO-DFW and SFO-WAS), which seems like a pretty serious goof to me. I saw a blurb about hipmunk somewhere else, I forget where at the moment. I have the same sentiments as Fred, which I expressed in a comment about the redesign of Delta’s homepage. I’m a functionality over presentation kind of guy, and I like/want/need/prefer all of the options that kayak gives. Its interface is “good enough” for my needs. Second, as Fred also mentioned, a drawback to Hipmunk is that it is limited to the Orbitz database, which does leave out certain options. Third, Fred is also correct when he says it is better to book directly with the airlines, as it leaves out the middle man. 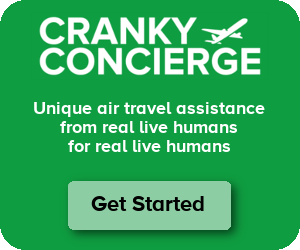 (I read a website dealing with consumer travel complaints, and many times when dealing with a third-party booking site, there’s finger pointing between the airline and the website about whose fault/problem it is.) Unless you’re actually getting a better price (sometimes Orbitz will return multi-airline itineraries that are the cheapest option) then I don’t see what value they add. Now, back to Hipmunk’s potential — many times, my travel preferences are the same — I don’t like early flights, want to avoid long layovers, etc, and to have a customizable “hurt” profile that is saved for every search would be really cool. Give me that on top of a broader search base, and I’m there. Brett, one question I have for you — what’s hipmunk’s business model? I mean, is it advertising only? If so, and the functionality is better elsewhere, how do they survive long enough to make the improvements necessary to be a cut above the rest? It’s a metasearch biz model, similar to Kayak and others. Orbitz is just the first provider, but they’re working on direct relationships as well. They’ll work on a referral model, and then I’m sure they’ll also try to do ads, etc. I think the third party sites realise that you’re better off searching with them, and booking with the airline. I think that’s why you see some of them trying price guarantee type stuff, to give you an incentive to book with them. Maybe package deals are better with them too, I don’t know. Certainly, interline itineraries are easier with them. The interface has alot of potential. I wonder if their endgame is to get bought out by a Kayak or an Orbitz. This is a real big differentiator for whomever manages to get it. The other thing I really like about Hipmunk? Its really fast and smooth. But Hipmunk? Who came up with that name? I was having trouble coming up with a name, and my girlfriend pointed out that if we picked a small cute animal name, we’d have no trouble getting a good logo. I see Hipmunk as a more approachable ITA. The tabs are awesome but I think it could be helped with an easy way to check co-terminals/alternate airports. As another commenter mentioned, adding info on baggage fees would be low-hanging fruit. Personally I don’t check baggage all that much but from a programming standpoint, it wouldn’t be hard to add it. Like most sites, Hipmunk does not include Southwest Airlines. Since WN carries the most number of fliers by any airline in the US, it would seem that any good site should step up to the plate and readily acknowledge this fact so that casual users are made aware of this fact. Kayak at least now acknowledges when Southwest is a possibility even though they don’t show flight details. Presumably, when Google does its thing with ITAsoftware, it will become the site to go to for all searches. I’m pretty sure that these sites don’t include WN because WN opts out of making its data available even resorting to suing Orbitz to get itself removed. Cranky does it again. Thanks Brett. This is a good summary of what looks to be a great innovative idea for the industry. Please keep these posts coming. I definitely like it because of its simplicity and lack of advertising. But also because it is FAST and excels in returning possibilities for INTERNATIONAL routings (almost the only ones I ever fly), such as DXB, CDG, TXL, EZE, SAP. And, not least, because the site’s customer service responds quickly without “form letter” replies to any problem or question conveyed to them. Overall, far better and simpler than any other flight search engine I have used (kayak, itasoftware, cheapo, travelocity, orbitz, etc.). THANKS for mentioning it. Echoing what SFREDSPOT says above, there are NO American Airlines results — for any search that I’ve tried, even when other search engines are turning up AA results, no problem. Things like LAX-DFW. No AA results. Uh, that’s an issue. A big one. Just got word that AA results are now on Hipmunk. Regarding AA: I talked to their support, and I was told they are working on AA still, but they don’t have an e.t.a.